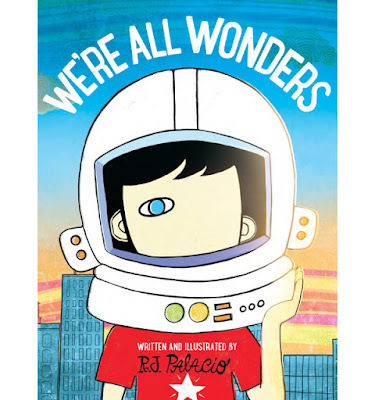 R.J. Palacio, the writer of the New York Times Best seller, Wonder, recently published a picture book for younger children called We're All Wonders. The story features, Auggie Pullman, a child born with a facial difference. This book shares the same ideals and teaches the same lessons of empathy, kindness, and love to readers. 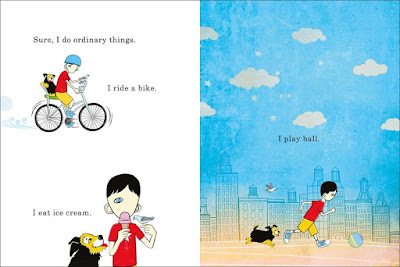 The illustrations are colorful and created by Palacio, too. Amazon's description says, this book "represents the fulfillment of her dream to write and illustrate her own picture book." Palacio showcases her graphic design talent through the newest book published that incorporate the characters created in the book Wonder. Here are some images from the book. You can learn more about it at Amazon or at a local bookstore near you.